You are going to Watch Naruto Shippuden Episode 202 English subbed online free episodes with HQ / high quality. Stream Anime Naruto Shippuden Episode 202 English sub Racing Lightning Madara asks Naruto what action of his caused Nagato to turn in to a traitor. Further Mifune orders the samurai to search for Sasuke. 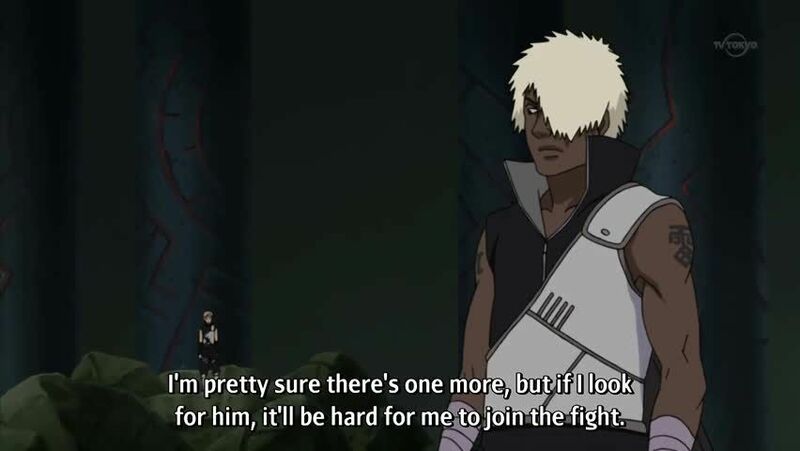 Raikage along with Shee and Darui also set off to hunt Sasuke. Meanwhile Karin realizes that Sasuke’s chakra has become even colder and dark. Sasuke begins attacking all the samurai. Raikage and Shee and Darui track down Sasuke and start to fight Jugo,Suigetsu and Sasuke,while karin is left to hang on to danzo’s chakra.Later Sasuke is confronted by Raikage.